Gist Portbury has achieved a double A grade during its latest BRC audit for Storage and Distribution. 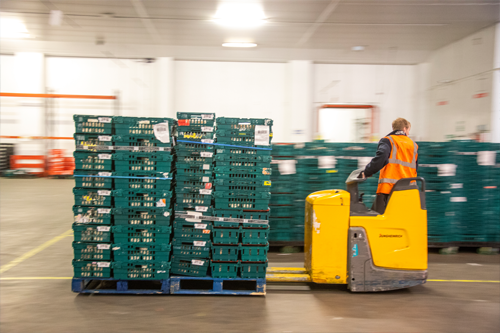 The accreditation, which has been renewed for a further twelve months, verifies the site’s ability to safely store, cross-dock and distribute chilled foods including ready meals and yoghurts against the BRC’s Global Standard. “This is a great achievement for the site. Our employees work tirelessly to ensure these standards are met consistently.” says Arran Appleby, General Manager at Gist Portbury. Gist Portbury joins Spalding as the second Gist site to achieve a double A within the last year, the highest grade available from the BRC. The BRC was founded in 1996 to ensure a consistent approach to food safety standards across the supply chain. The BRC’s Global Standard for Storage and Distribution was introduced in 2006 to complete the chain certification which extends to the production, packaging, storage and distribution of consumer products. Find out more about Gist Portbury, part of our Temperature Controlled Logistics network.